Every chapter-heading epigraph in Robert Galbraith’s Lethal White is taken from Henrik Ibsen’s Rosmersholm. As we have discussed here, it would be hard to overlook the importance Galbraith/Rowling attaches to this play about the haunted lives of people living in the wake of a woman’s suicide for which they were responsible. 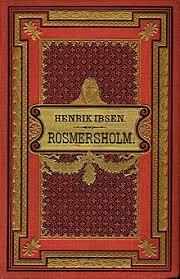 That longish post and the conversation that followed with Joanne Gray in its comment thread — ‘Lethal White: Ibsen’s Rosmersholm‘ — offered five reasons beyond the ‘white horses’ for Serious Strikers to study the play. Joanne Gray wrote me today to share the news that there will be a new production of the Ibsen classic in London this summer. 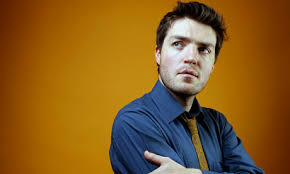 Tom Burke, the star of the Strike novel adaptations for the BBC, will be playing the lead role of John Rosmer. As Professor Gray noted, he will be on stage with Rosmersholm just before he returns to filming Lethal White, the only Strike novel not yet transformed into little screen fare. I’m not a big fan of the teevee production or Burke’s selection to play Strike; the shows are truncated, devoid of nuance, and he, though a fine actor, is far too short and trim to play the Cornish giant. 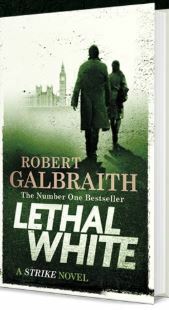 Having said that, learning that he will carry a memorized knowledge of Rosmersholm into the filming of Lethal White, I am much, much more enthusiastic about this adaptation of a Galbraith novel than I have been about any of the others. I hope friends in the UK will get tickets to see the show and let us know if the “new adaptation” is faithful to the original or a pointed political interpretation. The invitation to see the fresh staging because “The piece sees West try to undermine Rosmer’s idealism and get him to understand a more free-thinking way of life on the eve of a major election” is not encouraging in that regard. Let me know what you think — and thanks to Joanne Gray for the news! I volunteer to be the official hogwartsprofessor.com envoy to see in person— I’ll even fly coach! and take in Cursed Child while I’m there. I hope Mr. Burke reads your posts on the topic, since he will be starring in adaptations of both! This is surreal and delightful information! I will definitely try to go. I want to give a starting place to the rumor that The Presence Herself is at work in this production. Who do we know that connects the BBC production of Lethal White and the London theater district? Is it such a stretch that Rowling, with her new contacts and influence in London’s stage world, dropped a hint about her excitement about Rosmersholm, even her willingmess to invest in a new production? Say, one with a ‘People’s Vote’ coloring? In which her Cormoran Strike star could star so he would understand (or just be forced to consider) the play’s importance with respect to the fourth Strike novel? Or maybe she’s feeling a little shame about how her walk-on hit has over shadowed everything else going on in London theater these days — and decided to create a little love there by underwriting (or just finding other investors) to make the new Rosmersholm come to life? I’ll definitely go and see it. Probably in early May. I just finished an audio recording of the play and certainly hope the production keeps to the original, even if they use a new translation – after all I can’t guarantee for the accuracy of the translation of what I’ve been listening to, since I don’t speak Norwegian. By the way it was by Librivox and it’s legally free on youtube. But it doesn’t seem too much of a stretch that one could keep it almost like it is, things don’t seem to have changed too much – except that men and women can live together without problems (in most parts of the world) without being married these days. And I’m sure the casting for the play is entirely coincidental – though for us fans it’s an uncanny one. Or maybe not… The play is even produced by the same production company as Cursed Child (which is now only playing a 3-day-week in London – both parts on Wed, one each on Thu and Fri). I know it’s been running for a while now, but the reduced schedule makes it more difficult if you’re only there a few days and have something scheduled for one of the days. Actually, I’m not quite sure how tall Cormoran is supposed to be, but Tom Burke is 6′ (or 183 cm), so he’s not that far off, probably – but I agree he maybe a lot trimmer than Cormoran. Then again, finding an actor who fits the physical mightn’t be the easiest, and they probably didn’t want to ask him to put on weight.